Alpaca Oracle aims to ask help and advice for humankind from other animals. It looks at the possibility of expanding human understanding on the present state and future prospects of life on Earth by practicing the skills of inter-species communication or telepathy. Alpaca Oracle sessions search for emphatic connection to other species and trough that a deeper connection to the ecosystem we live at. 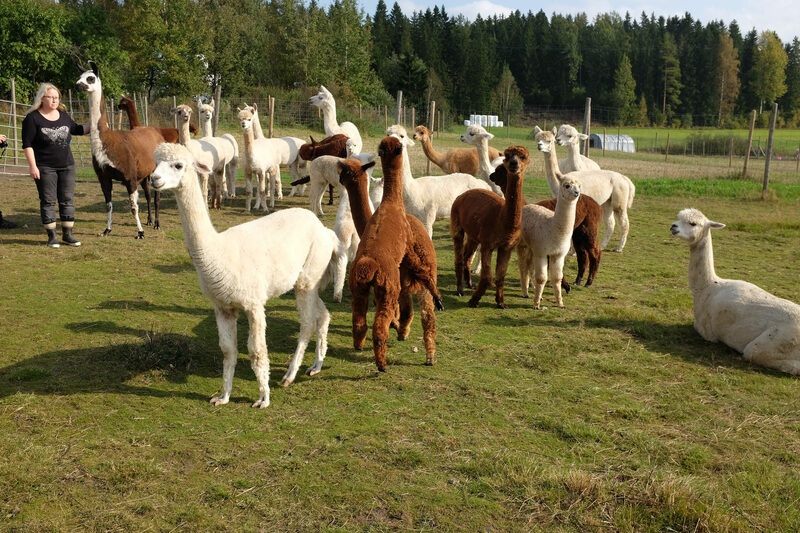 Alpaca Oracle is a collaboration in between an alpaca herd in Alpaca Fuente farm in Lohja, Finland, artist Mari Keski-Korsu and professional animal communicator Maiccu Kostiainen since 2014. 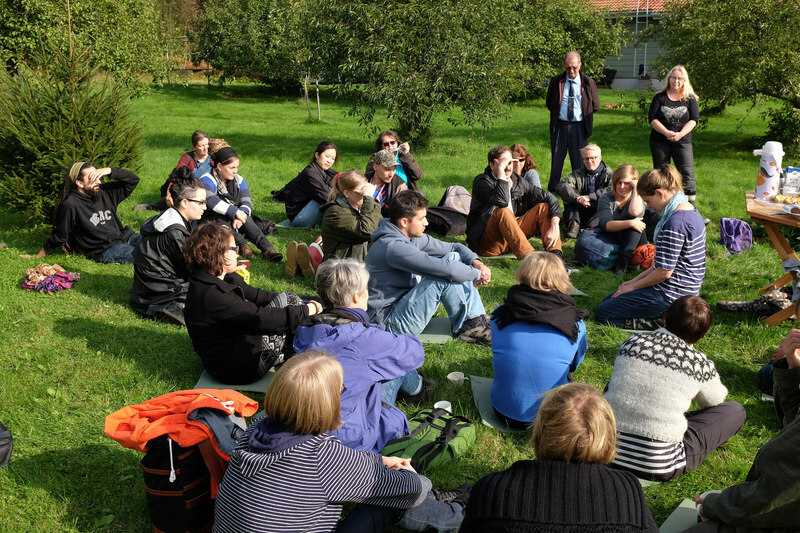 In the spring 2015, the group is joined by movement artist Eija Ranta. 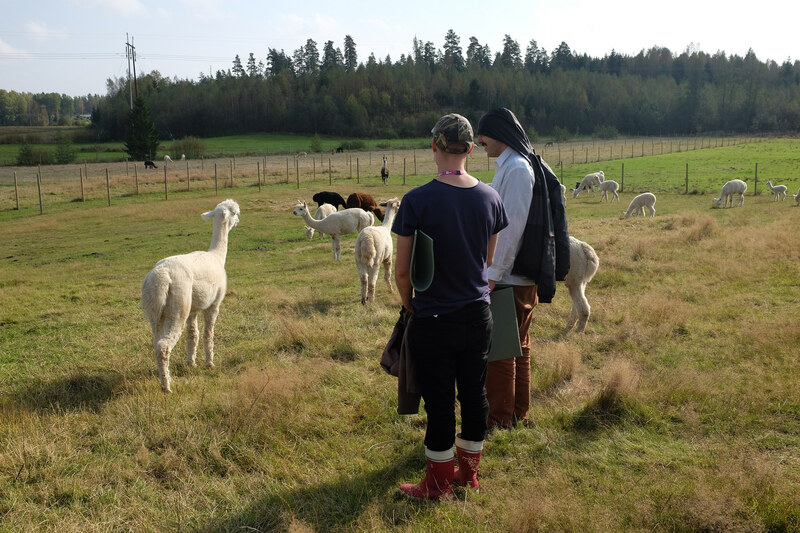 Mari & Eija will live with the alpaca her for three days and the invite the Pixelache festival participants to join in and share the findings of the experience. 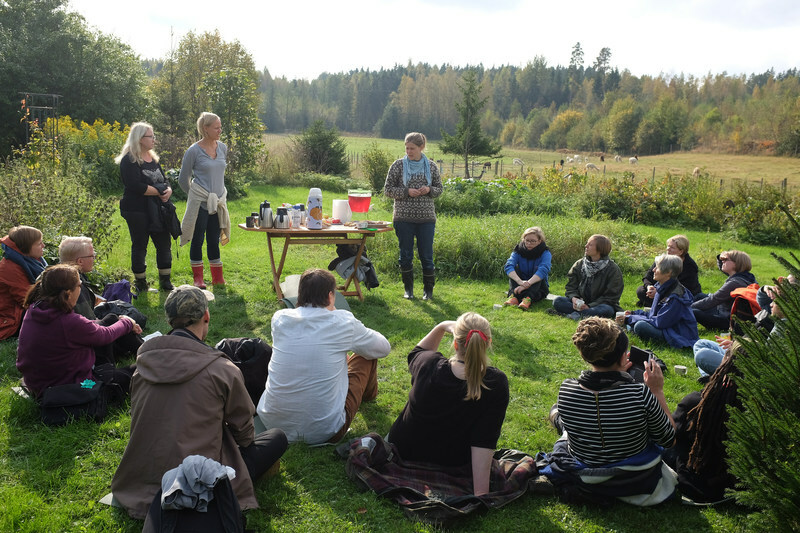 The participants will be introduced to the animal telepathy and they can try it themselves with one of the biggest alpaca herds in Finland. You must register for this event! Transportation from Helsinki by bus to Lohja leaves at 11.00 (pick-up location will be sent via email). The travel takes one hour and the Alpaca Oracle is for two hours, and takes place in English. Take with you some picnic food and clothing that suits all weathers. More information and tips will be sent to signed up participants via email.